The late 1980s marked a golden era for creativity in hip hop with the advent of new sampling technology and the musical possibilities that technology presented. Steeped in history, the Def Jam label was at the forefront of that movement with artists such as Public Enemy, LL Cool J (and his producer Marley Marl) forging new sounds from old. The popularity of the practice of sampling James Brown has continued through to the present day with many of the label’s most popular contemporary artists including Jay Z and Kanye West continuing to take inspiration from the Godfather of Soul. One time Def Jam president Jay Z is a serial sampler of James Brown, notably sampling Brown’s ‘Don’t Tell A Lie About Me and I Won’t Tell The Truth On You’ on three separate occasions and sampling no fewer than four different James Brown tracks on his 2011 collaboration with Kanye West ‘Gotta Have It’ for the ‘Watch the Throne’ LP. In addition to his sample heavy collaboration with Jay Z on ‘Watch The Throne’, Kanye sampled the ubiquitous tambourines and vocal screams from Lyn Collins’ James Brown produced ‘Think (About It)’ for his 2010 track ‘Lost in the World’, featuring Bon Iver, Alicia Keys and Charlie Wilson (taken from the ‘My Beautiful Dark Twisted Fantasy’ album). Public Enemy take the prize for the most frequent samplers of James Brown, having sampled the Godfather dozens of times. The band’s catalog includes six samples of Brown’s ‘Funky Drummer’ and seven of ‘Get Up, Get Into It, Get Involved’. Several Public Enemy tracks, including 1987’s ‘Rebel Without a Pause’, contain three or more James Brown samples. According to his moniker ‘Ladies Love Cool James’, but what LL loves is sampling James Brown and has done so an impressive 17 times. He has sampled ‘Funky Drummer’ six times (including on his 1990 comeback hit ‘Mama Said Knock You Out’) and ‘Funky President’ four times. Slick Rick has sampled James Brown productions seven times, four of which are samples of Lyn Collins’ ‘Think (About It)’. Rick is responsible for three classic Def Jam albums, and almost all of his samples of James Brown appear on 1991 album ‘The Ruler’s Back’, where Brown’s distinctive uptempo drum breaks provide the perfect backdrop for Rick’s trademark story raps. Brentwood Long Island duo EPMD joined the Def Jam roster in 1990 for the release of their third classic long player ‘Business as Usual’, releasing three further LPs for the label over the following decade. Erick Sermon and Parrish Smith have sampled James Brown no fewer than ten times, including three times on their 1990 album cut ‘Gold Digger’. Redman has been a mainstay of the Def Jam roster since the release of his 1994 sophomore album ‘Dare Iz A Darkside’. The Def Squad member has sampled James Brown on multiple occasions, with ‘The Payback’ being a firm favorite having been sampled three times. Nas has something of a habit for paying homage to hip hop’s forefathers in his music and his 2006 ode to the genre’s golden era greats, ‘Where Are They Now?’, is arguably the best example from his extensive discography. 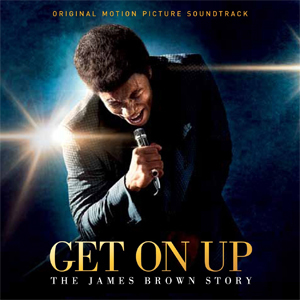 The track is built on a loop taken from James Brown’s ‘Get Up, Get Into It, Get Involved’. Additionally, Nas’ 2002 throwback anthem ‘Get Down’ borrowed from two of James Brown’s most sampled cuts, ‘The Boss’ and ‘Funky Drummer’.